Integrity Laser is the United States Distributor for Bios S.r.l.s.u. We are the United States Service Provider. We will repair with all manufacturer parts. IPL hand piece comes interchangeable filters. Q-Switched laser hand piece is a 1064nm at 1800mJ and 532nm at 900mJ. Nd:YAG laser hand piece is short pulse and long pulse with optional fiber attachment. Er:YAG laser hand piece has 2500mJ – 10Hz @ 2940nm max energy. 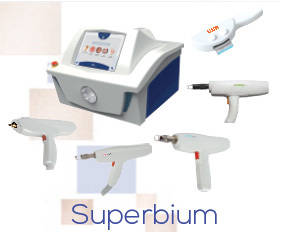 Fractional Er Glass laser hand piece is 10J x 1Hz @1540nm Fractional.